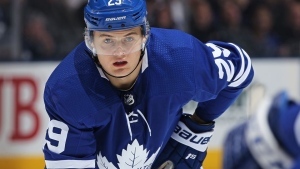 TSN Hockey Insiders Bob McKenzie, Pierre LeBrun, and Darren Dreger joined host Gino Reda to discuss the latest with William Nylander and the Toronto Maple Leafs, reports of preliminary CBA talks, and more. With the deadline to sign William Nylander approaching, what’s the latest? 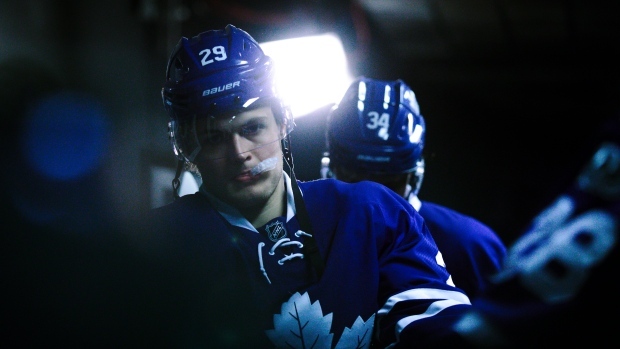 Editor's Note: Nylander has to sign by December 1 to be eligible to play this season. McKenzie: Last week at this time there was positivity, relatively speaking. There was momentum building, there was dialogue. Then nothing happened and here we are a week later and there seems to be a lot of frustration and tension on both sides. The question is going to be asked, are the Maple Leafs any closer to trading Nylander because they can’t sign him? And the answer at this moment is no, not necessarily. But I can tell you this: with each passing day Nylander isn’t signed, there’s going to be an uptick in the number of teams that contact the Maple Leafs. And it may become more attractive for the Leafs to at least listen to what’s being pitched from these teams that are starting to gather. LeBrun: They’re hardly the only team but the Carolina Hurricanes continue to be a team that is keeping a close eye on the situation. They really like Nylander, and they’d like to add a top six forward. The reason the Hurricanes are a good fit is they’re deep on defence, we’ve mentioned the name Brett Pesce who’s on a long-term deal at a reasonable cap price. I think the Leafs also view Carolina deep down as a team that if they ever open that door, they would probably have to contact. The point I would make though is if the Leafs can’t sign Nylander, why would Carolina be a candidate to sign Nylander? Last week we talked about Jesse Puljujarvi and some friction in Edmonton. He hasn’t played since then. Now what? Dreger: It’s caught the attention of teams around the NHL. That’s not to say Edmonton Oilers GM Peter Chiarelli’s phone is ringing off the hook, that’s not the case. And the Oilers are adamant they’re not going to trade Puljujarvi any time soon. 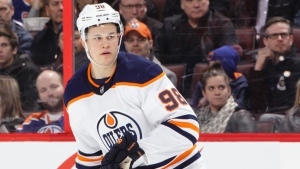 It is a coach’s decision and Todd McLellan has the right to choose who he puts on the ice, but what the Oilers need when Puljujarvi comes back into the lineup, and he will sooner than later, is to play better and lock down his spot. Interesting report over the weekend preliminary talks on the Collective Bargaining Agreement may be already underway? McKenzie: In that report by David Pagnotta of The Fourth Period, he does quote NHL Deputy Commissioner Bill Daly as saying they’ve not begun the process in any meaningful way. 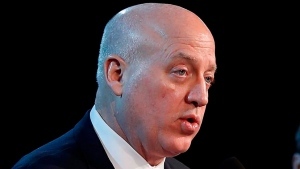 But here’s what’s worth noting: the meetings that have taken place, at least two of them, have included face-to-face sessions including Daly and NHL Commissioner Gary Bettman, as well as NHLPA Executive Director Don Fehr and Mathieu Schneider. And they’ve been talking about past the existing CBA, not the future CBA, but that could be a precursor to maybe getting some talks going well before the reopeners on the next CBA. With Shane Wright potentially looking for exceptional player status in the OHL, is there a similar situation in the WHL? Dreger: Matthew Savoie is a 14-year-old; real good hockey player in Alberta. The family hasn’t decided yet if they’re going to apply. Family advisor Kevin Epp is doing his due diligence, talking to Hockey Canada, the WHL, the USHL, and Tier 2 Alberta Junior as well. This young man perhaps wants to look at all his options and maybe one of those is playing with his brother Carter in the AJHL in Sherwood Park. Decisions have to be made with a deadline of December 1. 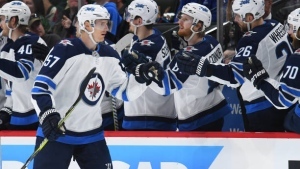 What’s the situation in Winnipeg regarding pending unrestricted free agent defenceman Tyler Myers? LeBrun: I don’t know if the Jets have to make that decision right now because the Jets are all-in to win this year, regardless of what happens to some of these players. I can tell you the Jets have no intention of trading Myers even if he’s still unsigned long-term at the trade deadline. There haven’t been any contract talks but we’re told that Myers’ agent JP Barry met with GM Kevin Chevaldayoff this past Saturday, just to get some clarity on where things are. It can’t be ideal that he’s a third pairing righty but on a team with Dustin Byfuglien and Jacob Trouba, that’s quite a luxury at the same time.